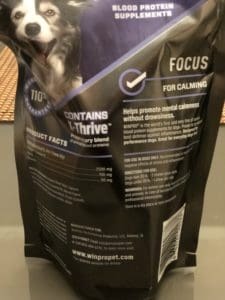 Is there something missing from the dog food I feed my pet? Should I consider supplements? 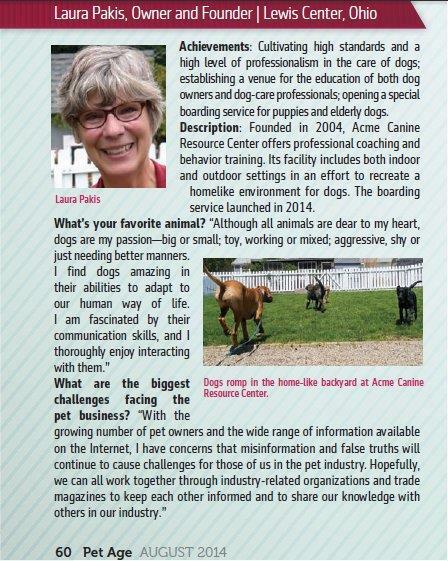 If you haven’t already asked this question, most likely you will as you learn more about dog food. You want your dog to have the best health, but sadly most commercial dog food is highly processed. So should you consider supplements for you canine pooch? 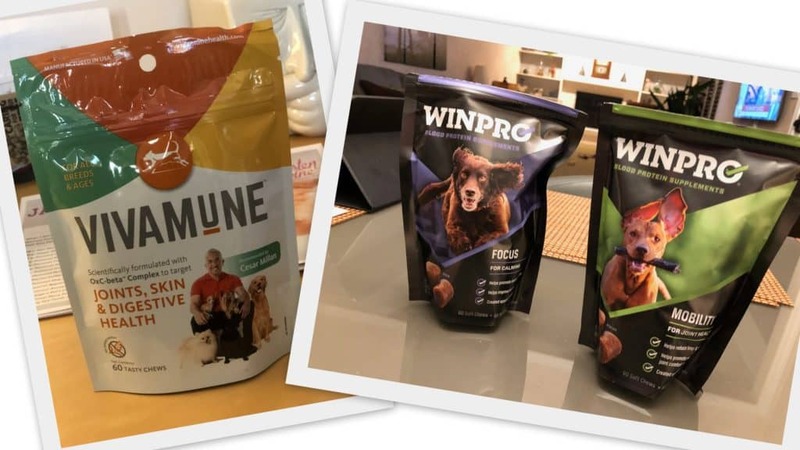 With such debates going on, Acme Canine was asked to test two canine supplements, Vivamune and Winpro, to see how our test dogs liked them and if we saw any marked improvement after using the products for one month. Our findings were based on five dogs of different ages, breeds and health issues. Two of the dogs had joint related issues. Two had anxiety issues (in that they were over-reactive with people entering the house). And one was our control. Here’s our results. 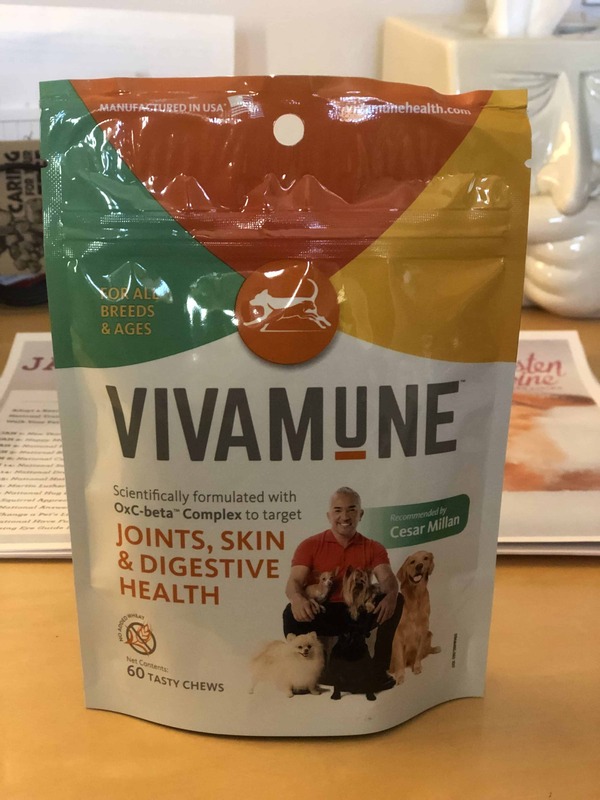 The first product tested was Vivamune, a scientifically formulated OxC-beta Complex to target joints, skin & digestive health. Packets sell for $25.00 on Amazon and contain 60 chews about the diameter of a quarter. Daily dose ranges from ¼ chew for dogs under 10 lbs. to 3 chews for dogs over 100 lbs. The dogs in the study ranged from 35 lbs. to 110 lbs. 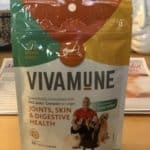 Each dog enjoyed the taste of Vivamune and were willing to eat them with their meals. A couple even were seeking these chews out thinking they were treats. At the end of the month none of the dogs showed improved coat condition, improved mobility or improved digestion. These results could be due to each dog already being in good condition and not needing supplements or that the supplements weren’t able to improve each dog’s current state of health. 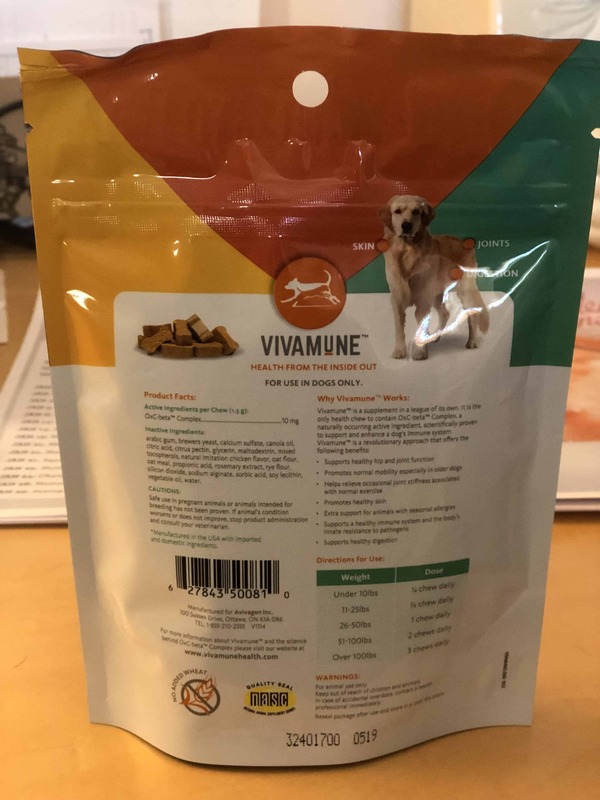 Vivamune does have a 100% SATISFACTION GUARANTEE: Your dog’s well-being is our priority, which is why we provide a 100% satisfaction guarantee. If you aren’t satisfied, simply return the product within 30 days. 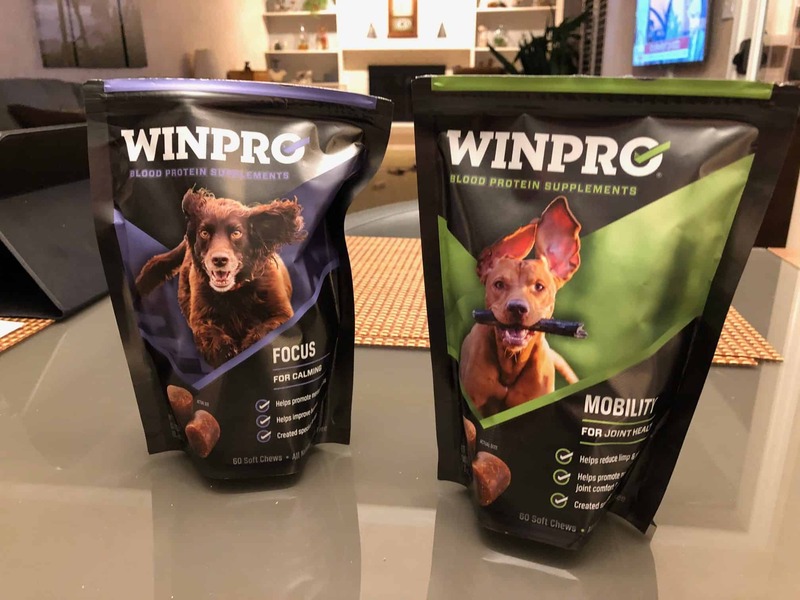 WINPRO is all-natural blood proteins which “stay in the gut and do not pass through like nutritional supplements making them 6X more effective with no harmful side effects”. A package contains 60 chews about the size of a Heartguard chew. The suggested daily dose ranged from 2 chews in the morning for dogs over 20 LBS or 1 chew in the morning for dogs under 20 LBS. 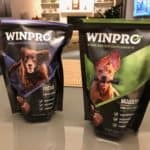 The WINPRO chews “cannot overdose or over-feed” and can be combined with any medication or supplement. This product isn’t cheap. A package on Amazon sells for $29.99. We also had mixed reviews on how easily it was for a test dog to take the chew. Three ate their dose reluctantly and two LOVED the taste. 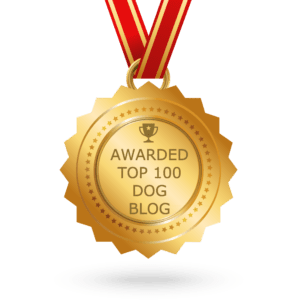 At the end of the month a couple of the dogs showed improved focus in the sense that they were less reactive to door bells ringing and people coming in the house. None of the test dogs showed marked improvement in mobility, although one dog did seem to get up faster while on the chews. WINPRO also has a guarantee: If you aren’t completely satisfied, we offer a 110% “No Questions Asked” Guarantee. Just send the product back full, empty or anywhere in between and we’ll give you a full refund of your purchase price plus 10%. Dietary supplements are usually not necessary for healthy canines eating a nutritionally balanced diet, but they may benefit pets with certain medical conditions. Your veterinarian can help you determine which supplements, if any, are right for your dog, what dose to use, and which specific brands have the quality control necessary to keep your pet happy and healthy. With this being said, Acme Canine recommends WINPRO over Vivamune as it was the only supplement that showed any change in dog behavior and mobility. This entry was posted in Dog Nutrition and tagged Vivamune, WINPRO. Bookmark the permalink.